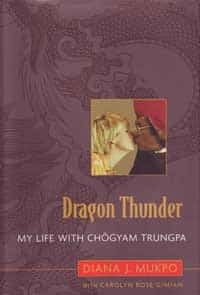 Excerpted from DRAGON THUNDER: MY LIFE WITH CHOGYAM TRUNGPA by Diana J. Mukpo with Carolyn Rose Gimian. © 2006 by Diana J. Mukpo and Carolyn R. Gimian. Used here by arrangement with Shambhala Publications, Inc. 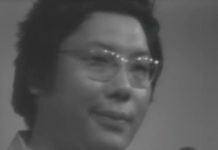 I returned to Boulder in early December 1976 . . . to move into our new home with Rinpoche et al, to spend the holidays together as a family and to give Gesar and myself some time with Rinpoche before he left for his long retreat. 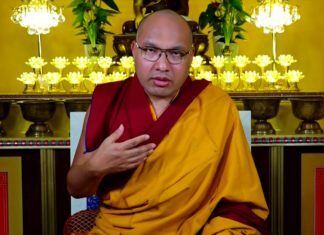 I knew that our new home was to be called the Kalapa Court and I knew that Rinpoche was moving in the direction of a much grander lifestyle that would include many more people being and working in our home, but I wasn’t prepared for what I encountered. 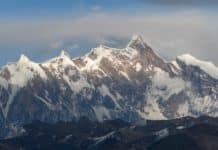 While Rinpoche was concluding the seminary that fall, John [Perks] had been busy creating a rather over-the-top courtlike situation to receive him. The house had been furnished in the style of an upper-class English manor house, not unlike what the Ham Manor of my childhood had been like, but with the addition of a lot more brocade. Additionally, there was the influence of an Oriental and often specifically Japanese aesthetic, at this point more in the little touches than in the furniture or layout as a whole. In consultation with Rinpoche, John had arranged for a young couple to join the household staff: Bob Vogler and his fiancée Shari. They had been living at Karme Choling but moved to Boulder to live and work at the Court. Bob was to be the butler working under John, and Shari was in charge of housekeeping and worked in the kitchen under Max. 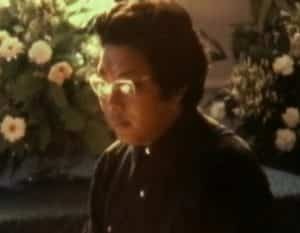 While Rinpoche was away in 1977, they would be the main staff for the Regent and his family. John also had assembled a cadre of volunteers to serve at the house, and he had created uniforms for them. The women who worked in the kitchen wore red aprons; those serving in the rest of the house wore white aprons with very ostentatious white shoulders over a black dress. We began referring to them as “the penguins.” There were people arranging flowers, polishing brass doorknobs, greeting you at the door, taking your coat, bringing you something to drink, setting the table, and performing all manner of household functions. John, Shari, and Bob all lived in rooms in the basement. On the main floor, there was a library off the large entry hall as well as a living room with a large mantle and fireplace, behind which was the formal dining room. There was a lot of dark wood paneling in this house. The kitchen was also on the main floor. Rinpoche and I had a bedroom with a sitting room upstairs, and Osel’s * room was on the second floor. Gesar lived on the top floor with Pat Adducci. 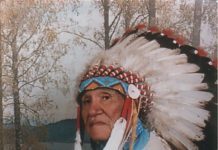 It was very good for him that he had the continuity of his relationship with Pat throughout all the changes in our life at this time. The Regent, Lila, and their children had their rooms on the second floor as well. The so-called servants could be found on all floors at all hours of the day and night performing all manner of tasks. 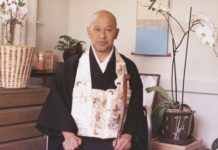 When Rinpoche arrived, he was delighted by the Court, and he immediately began to have receptions, dinners, and other social gatherings at the house, inviting as many members of the sangha as he could into our home. You might be invited as a guest one night and return as a servant the next. People were anxious to be around the house as much as possible since this was where people felt it was all “happening” at this time. The word spread that casual dress was out. Men came to dinner in suits and ties; women in cocktail dresses and high heels. The dress code had been changing for some time, but many still looked uncomfortable in their new apparel, with the men’s hair shortened, the ladies’ carefully coiffed. People also began to practice their table manners before going to dinner at the Court. 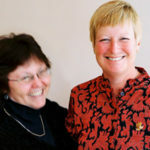 There were, in fact, classes on both serving and proper guest etiquette offered to members of the sangha. During this period, I had to buy a lot of clothes. I was trying to find a happy medium between frumpy and fashionable, and I bought a black jacket that I thought was attractive. Rinpoche told me, ” It’s not tailored that well for you.” It was the first time that Rinpoche had been critical of my dress. So then I said to John Perks, “Well, don’t you think that this looks good?” John replied, “Well, madam, although anything you wear looks wonderful on you, I think that you could have a more tailored jacket.” I believe I dumped the jacket and bought something else. 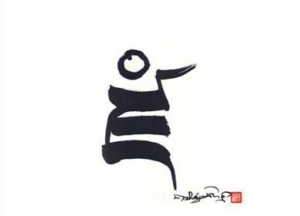 The evening gatherings at the Mapleton Court often led to sessions of calligraphy practice late at night, usually held in the entryway, where Rinpoche would demonstrate the new Shambhala practice and initiate students on the spot. 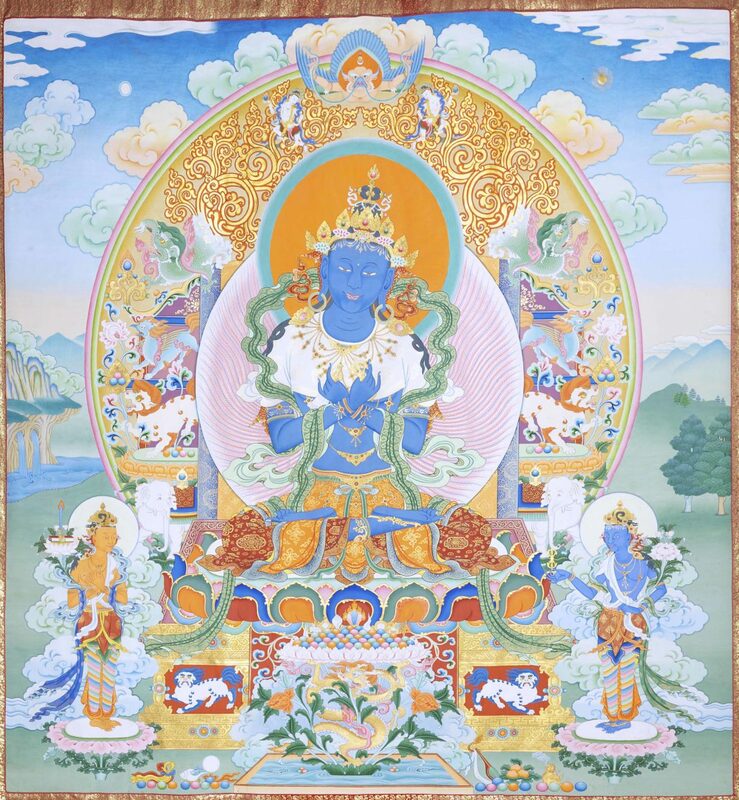 These proceedings usually were accompanied by readings from the new Shambhala text. 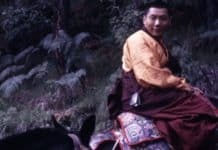 There were rumors about all this flying throughout the community, and there was tremendous curiosity about the Shambhala teachings that Rinpoche had received and was now beginning to present. In fact, people’s curiosity and desire to be included were whetted by the fact that the whole thing was supposed to be a big secret, but everyone had heard something about it. Rinpoche was, at this stage, introducing people to this new material in small informal gatherings. Within a few months, classes and study groups were organized at Karma Dzong, but for now, most of the transmissions took place at our home. Many nights that December and January, if you drove down Mapleton Avenue, you would see lights blazing at number 550. From the street, you might see a throng of people at three A.M. congregated in the front hallway. I’m sure our neighbors wondered what we were up to. The guests were usually either practicing calligraphy or watching others. As part of this practice, at one point, the person performing the stroke touches the brush to the tip of the tongue. Frequently, especially in the early days, people overdid this part of the practice and ended up with a quantity of black sumi ink on their tongue and teeth. Later, if someone smiled at you, he or she often revealed a distinct black stain on the inside of the mouth. It could be a bit ghoulish. A week before Christmas, the community held the official opening of Dorje Dzong, which means “indestructible fortress.” This event marked the community’s move into a new building at 1345 Spruce Street, which remains the headquarters in Boulder today. The new location was a three-story stone office building. It was acquired early in 1976, and throughout most of the year, renovations had been going on. The top floor was turned into a beautiful shrine room, with twenty-foot ceilings. The room could hold many more people than the old location, which we had completely outgrown at this point. The thangka of the Buddha, which the queen of Bhutan had given to Rinpoche so many years ago, was installed as the centerpiece of the new shrine. On either side of it were banners designed by Rinpoche bearing the logos for Vajradhatu that he had created. A few years later, Rinpoche would invite Sherab Palden Beru to come over from Scotland to paint a huge new thangka of the Buddha Vajradhara especially for the shrine room. 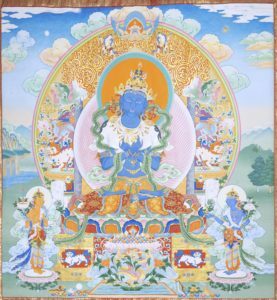 During his last visit to America, His Holiness the Karmapa placed his handprint in ink on the back of this thangka to consecrate this beautiful and powerful image. On the second floor of the new building, Rinpoche had a suite of offices, called “A Suite,” and the Regent was given a suite on the other end of the floor, called “B Suite.” Classrooms and other offices were located mainly in the basement and on the main floor. Almost the entire Boulder community attended the opening of the building, which was held in the shrine room. The room was packed. The ceremony was very similar to one held in 1972 to mark the opening of 1111 Pearl Street: Rinpoche lit the candles on the main shrine and then, from one of those candles, he lit another candle which he passed to the Regent, who lit his candle, and then the light was passed from one person to another. Each person was holding a candle, so that by the end, there were close to a thousand lights glimmering in the room. In late December, at our house, we were preparing to celebrate Christmas. I had always enjoyed this holiday: I loved to have a tree and exchange gifts. Rinpoche was not so keen on Christmas because of its obvious Christian connotations. (Two years later he inaugurated the celebration of Children’s Day on the winter solstice as an alternative festival.) However, this year he didn’t object to my decorating the house and buying gifts for the children, and we planned to have a nice family Christmas dinner together in our new home. I had not seen my mother since the day she had recoiled from touching her grandchildren. I had heard stories from my sister that Mother was spending what was left of her funds on private detectives to keep tabs on me. 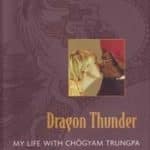 At one point, earlier this year, a story had spread that my mother had taken out a contract on Rinpoche’s life. This probably wasn’t true, but the danger seemed very real at the time. At one point, the vajra guards, the Dorje Kasung, were told to be on alert against this possibility. Frankly, I think Rinpoche probably enjoyed having a threat like this to heighten the awareness of the Dorje Kasung. In any case, I thought that I might never see my mother again. I certainly had no plans to reconcile with her, especially now that she seemed to be trying to get my husband killed! She had somewhat made peace with Tessa, and to my great surprise, she decided to come to Boulder to have Christmas with Tessa and Douglas. We knew that she was in town, but I planned to ignore her completely. Rinpoche asked his kasung to drive the Mercedes over to Tessa’s house, which was only about a five-minute drive from our home. He asked the kasung to deliver an invitation to Mrs. Pybus, my mother, to come for Christmas dinner. The kasung dutifully went with the invitation, but returned empty-handed. 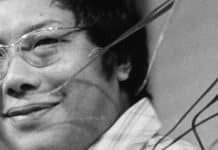 Mrs. Pybus had replied that she would only accept the invitation if Rinpoche would come himself and beg her forgiveness on bended knee for having stolen her daughter away. Rinpoche was so excited. He was already dressed to the nines for dinner, and he immediately asked for his coat and hat and went off with the driver. He went to Tessa’s house, where he went down on his knees and apologized to Mrs. Pybus for taking her daughter and invited her back to Christmas dinner. She was, I think, completely disarmed by his willingness to humble himself in this manner. She accepted the invitation. They arrived back at the house together, with Tessa and Douglas in tow as well. I was somewhat in shock. Rinpoche, however, was beaming. 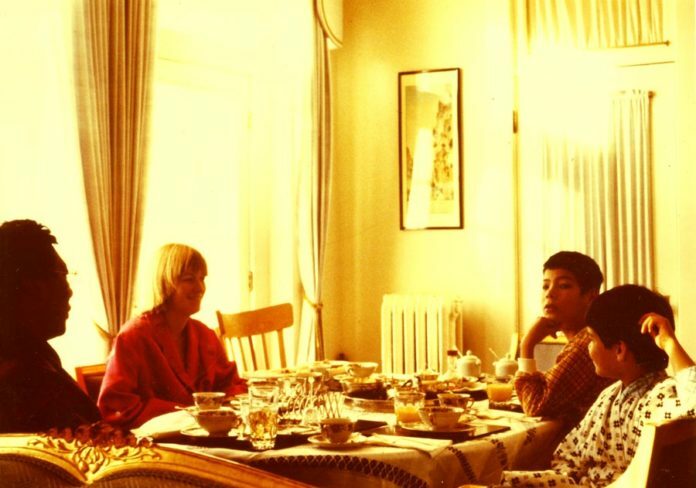 As you can imagine, my mother was thoroughly impressed with the house, the dinner, the service—the whole thing. It was quite different from our lifestyle a few years earlier. In addition to our family, the Regent and Lila and their family joined us for dinner, and I believe there were several other guests, nicely dressed and on their very best behavior. My mother made charming chitchat with people, and she herself was clearly charmed. She and Rinpoche had a long conversation about the history of European architecture over drinks. By the end of the evening, she was completely won over. Rinpoche sent his car to take her home, the perfect crowning touch. We saw her almost every day during the rest of her visit in Boulder. She couldn’t get enough of Rinpoche or the Court. A few days later, Rinpoche arranged to have a formal reception for her at the fanciest hotel in Boulder, which at this time was the Harvest House. He rented the largest ballroom there, and told all his students to wear formal attire. Women came in long dresses and white gloves; men rented tuxedos. Handel’s Water Music, which Rinpoche loved, was playing over the sound system as people arrived and were introduced. There was a receiving line where each person was formally presented to Mrs. Pybus, who was clearly being showcased as something equivalent to the Queen Mother in our world. 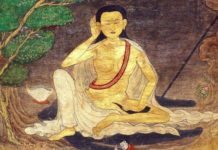 If there was a contract out on Rinpoche, my mother certainly cancelled it at that point. She was utterly enthralled at this point with her son-in-law and the world in which he was living, as well as her potential position in that world. © 2006 by Diana J. Mukpo and Carolyn R. Gimian. Used here by arrangement with Shambhala Publications, Inc.